Aquarium water flow is an essential and often misunderstood part of successful aquarium keeping. 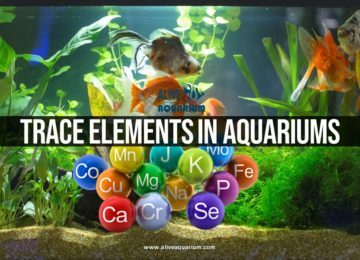 This article is here to help you understand aquarium water flow, and why it is needed. We’ll also discuss different circulation needs for different types of aquariums, so you can make smart choices when planning circulation or improving your setup. 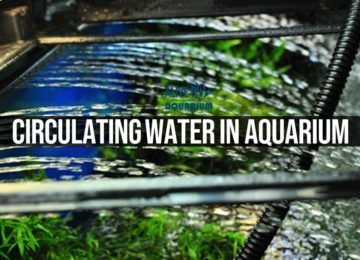 Do Aquarium need Water Flow? Why do Aquariums need Water Circulation? Why do Fish need Water Flow? Consider this example: the betta fish comes from small puddles or ponds, where it has adapted to breathe the air above the water’s surface. This is why we can keep them, unlike other fish, in tiny bowls without circulation or filtration. But betta bowls need most or all of their water changed frequently, more frequently than larger tanks. If these fishes live naturally in stagnancy, why is this so important? The unique isolation of a closed aquarium is significantly different from ponds or swamps, where stagnancy is offset by a great variety of plant and microbial life, changing weather conditions, and other dynamic processes. An aquarium is not a complete ecosystem, and the task of the aquarist is to create and maintain the stability and balance that occurs in nature. Stagnancy has profound effects on a number of critical processes in the aquarium. Imagine beating egg whites with a wire whisk. They become stiff, foamy peaks, because you’re folding air into the whites by breaking their surface tension. That’s how gas exchange occurs in water. Water movement creates the surface agitation needed to bring in oxygen, while beating out waste gases like nitrogen that need to escape. Gas exchange occurs in still waters too, through the aquatic plants which take root where there is low water movement. They consume CO2 and release oxygen during the daytime (they use oxygen at night). They also consume nitrates, which would otherwise be converted into nitrogen gas by your biological filter. Thus the water’s surface isn’t the primary site of gas exchange in natural still waters. The amount of oxygen naturally dissolved into your water through surface gas exchange won’t sustain livestock and the bacteria that process their waste, which use oxygen as well. Nor will surface movement distribute oxygen evenly throughout your tank. Dead spots or anaerobic zones form when circulation is inadequate, especially in pockets of substrate and obstructed areas where flow can’t reach. Dead spots are dangerous not only because they lack oxygen, but because the anaerobic bacteria that thrive there produce harmful chemicals. The same logic applies to other essential elements, like the trace elements needed by reef invertebrates, which rely on water movement to carry nutrients to them. Filters can’t do much to clean and detoxify your tank if your water isn’t moving through them completely and frequently. Even filters with pumps slow the flow of water as it passes through membranes and media inside. Since it’s slowing down not once but every time it passes through, this can have a big effect when filters start to clog, especially if they are your only means of circulation. Proper water circulation is important to stabilize water conditions like temperature and salinity, where fluctuations can stress and even kill your organisms. Aquarium heaters and chillers affect only one area within your tank, relying on circulation to move water through this area for even heating or cooling. Salinity depends on dissolved salts, which with inadequate circulation can settle or precipitate creating false readings and potentially dangerous imbalances. Normal algal growth in aquarium is unavoidable, but discouraged by water movement. It can’t form an ugly film on your water’s surface, nor can it take hold on other surfaces as easily when water is constantly moving. In a planted tank, the natural competition for nutrients from other plants generally keeps algae in check. In other tanks, circulation can make the difference. Underwater creatures have physiologically adapted to the way water flows in their natural environments. The importance of this is often underestimated, but when you think about it, makes a great deal of sense. Fishes used to strong currents are strong swimmers and moreover, need the exercise to maintain metabolic health, easily becoming overweight and unhealthy in still waters. Fishes unaccustomed to water movement lack the strength and stamina to deal with it, becoming stressed and even dying if forced swim constantly. Adaptation to water movement is more pronounced when it comes to invertebrates. Corals, anemones, coralline algae, mollusks these creatures developed to rely on vigorous water movement for all of their biological needs. Food and trace elements must be pushed through them, waste carried away; even spawning requires the help of currents. Plus, moving water cleans corals of sediment deposits that form in the carbonate rich waters of the reef deposits which arrest growth, block feeding, dull colors, and generally impede good health. It’s not simply enough to observe how much water movement is present in the natural environment of your aquarium community. The type of water movement is important, and in fact, quite helpful in determining your setup. Lakes and Ponds – no strong current flow in one or any direction; even and gradual water movement. Read about 4 ways to create water flow in aquarium here. 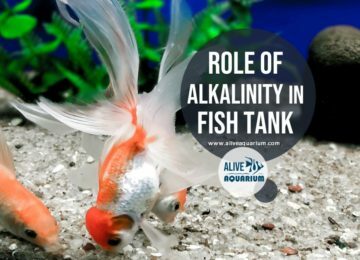 What is Role of Alkalinity in Fish Tank Water? Aqueon Pro Heater Review: Are these Heaters worth it? Fluval Heaters Review 2019: Are These Worth it? Eheim Jager Heaters Reviewed – Are These Worth?